Bryan Singer has tried to explain the situation with his firing as director of Bohemian Rhapsody, the Freddie Mercury biopic. Singer didn't return from the film's Thanksgiving break and later said he was dealing with a family medical situation and would be back after "the holidays". Sources claimed that the set of the film was in chaos with the director clashing with film star Rami Malek. The studio temporarily tried to have the cinematographer on the film take over as director but, in the end, decided to shut down the production with two weeks of principle filming left. With fewer than three weeks to shoot remaining, I asked Fox for some time off so I could return to the U.S. to deal with pressing health matters concerning one of my parents. This was a very taxing experience, which ultimately took a serious toll on my own health. Unfortunately, the studio was unwilling to accommodate me and terminated my services. This was not my decision and it was beyond my control,” Singer said in the statement. “Rumors that my unexpected departure from the film was sparked by a dispute I had with Rami Malek are not true. While, at times, we did have creative differences on set, Rami and I successfully put those differences behind us and continued to work on the film together until just prior to Thanksgiving. I wanted nothing more than to be able to finish this project and help honor the legacy of Freddie Mercury and Queen, but Fox would not permit me to do so because I needed to temporarily put my health, and the health of my loved ones, first. 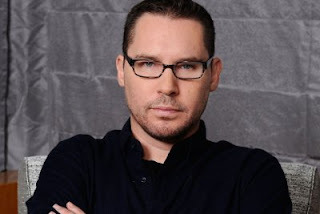 Bryan Singer's previous films include The Usual Suspects and the X-Men franchise.